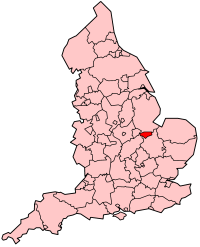 Peterborough on a map of England. This is a list of schools in Peterborough in the English county of Cambridgeshire. ^ "BBC NEWS - Education - League Tables - Secondary schools in Peterborough". news.bbc.co.uk. This page was last edited on 9 October 2018, at 18:29 (UTC).